It’s no secret that when it comes to cosplay girls rule. Transforming into who and whatever their hearts desire, the girls of cosplay took their parents seriously when they said, “when you grow up, you can be anything you want to be.” Whether it’s wizards, warriors, princesses or Pokémon, the sky’s the limit when it comes to their next transformation. 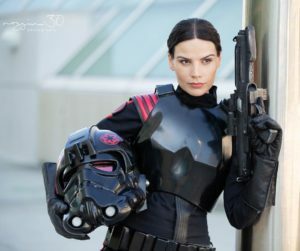 We’ve compiled a list to celebrate some of the most fearless and inspired leading ladies of the cosplay world who have taken their passion for fantasy beyond a casual hobby. These girls are masters of their craft and are taking the cosplay culture to unprecedented heights. Fabiola of @FabibiWorldCosplay is an international cosplay star based in Chile. This fierce femme fatale favors strong and powerful female characters that are ready to kickass and take names. Her favorite characters to cosplay include Reika Shimohira from the manga series Gantz, Chi-Chi of the Dragon Ball Universe and Princess Leia. 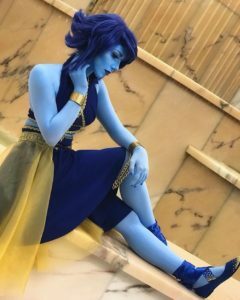 Headwink: Who are your favorite cosplayers to follow and why? The trilingual (yes, that’s three languages) brainy beauty, @Robincyn, has been cosplaying since 2009. 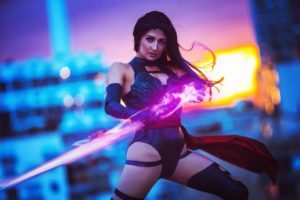 Whether she’s posting funny videos like, “When you live with a cosplayer” or showing her followers the step-by-step DIYs, this bubbly brunette is sure to make you smile. She may be young, but don’t let that fool you. SpicyFrisk is making a name for herself in the cosplay world thanks to her dramatic head-to-toe transformations. She says her take on Lapis Lazuli is her favorite creation yet, but we have a feeling when it comes to this gifted gal’s innovative designs, the best is yet to come. Headwink: What do you enjoy about cosplay? Do you hear birds singing? Are woodland creatures suddenly doing your chores? Amber Arden must be nearby! Known for all things Disney, this stunning stylist and visionary costume designer wears the crown when it comes to putting her own spin on beloved characters. Self-described sci-fi and fantasy geek, Rei Kennex is anything but your typical cosplayer. A former news anchor in Ukraine, Kennex moved to the United States following her win on the Ukrainian musical competition show, American Chance. Specializing in Star Wars cosplay she flawlessly masters galactic characters from Rey to Hera Syndulla. Jessica John – known online as @mossyfox_cosplay – caught our attention with her mesmerizing take on Light Fury from How to Train Your Dragon 3. Often crafting her costumes and props from ethically harvested bones, skulls and fur, Jessica says she enjoys putting her own twist on characters and finds inspiration from fellow cosplayers Kamui, Nightingale Vixen and Zonbisworkshop, just to name a few. 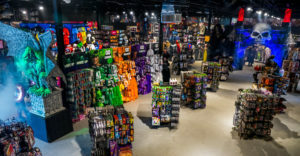 Headwink: Where does your passion for cosplay come from? MossyFox: My passion for cosplay is driven by my love for the characters and the endless possibilities that come with putting my own personal twist on it! 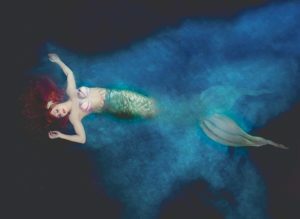 Self-described “hipster mermaid” Traci Hines is a cosplayer’s fairytale dream. 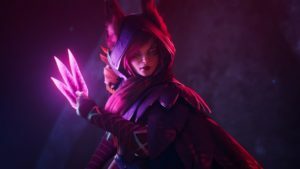 Boasting more than 150 million views on her YouTube channel this stunning siren lets subscribers become part of her world, offering cosplay tutorials, behind-the-scenes access to photo shoots, music videos and more. Headwink is all about helping you explore and take your cosplay to the next level. And we’re creating a Community space to help cosplayers of all levels! French cosplayer Sikay discovered her passion for costume creation while she was a student at LISAA School of Art and Design in Paris. A true artist, Sikay creates her character’s looks from conception to final touches. Her dynamic take on Psylocke from the Marvel Universe that caught our attention and keeps us coming back for more. Headwink: What inspires you when you are creating your costumes? Sikay: I’m inspired by mermaids, unicorns, artists, fantastic and futuristic spirits. I’m inspired by characters in movies, comic books and videogames. Libbey June, known as @boxturtlecosplay online, says she marches to the beat of her own drum when it comes to finding inspiration for her next costume. From Skyrim to Star Wars, Libbey isn’t afraid to tackle a new challenge. Check out some of her transformation tutorials on her Instagram page to learn tricks of the trade. 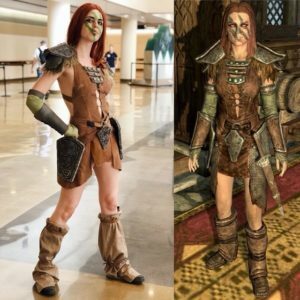 TInaKinz found her way to cosplay from her passion for sewing and design. 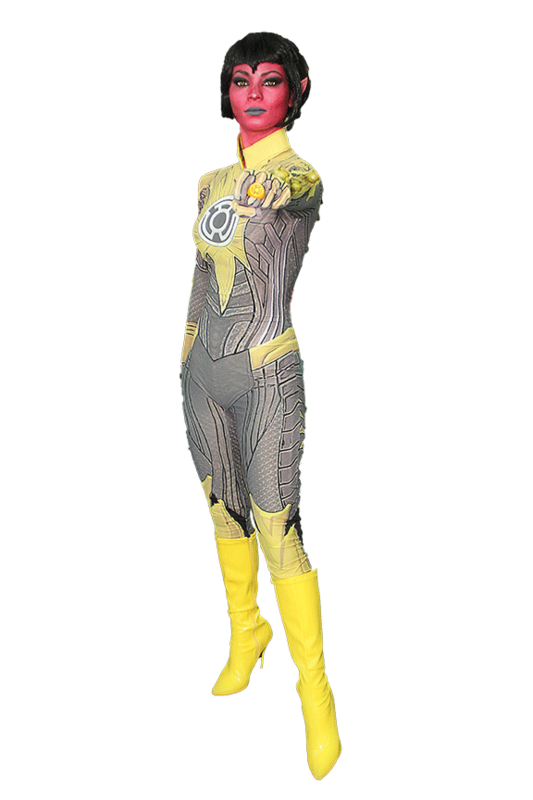 She says experimenting with cosplay characters gives her confidence and lets her morph into any badass she desires. Her most recent creations include World of Warcraft and Overwatch characters. The ladies above all embody what we think it means to be a true cosplay girl: creativity, style, individuality and most of all, passion. Do you have any cosplay girls in your life that you’d like us to celebrate? Let us know in the comments – you never know, you could be featured next!